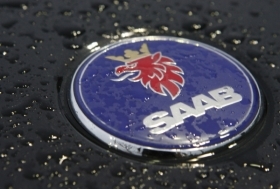 Saab dealers in the United States say they have been uninformed bystanders to General Motors Co.'s on-again, off-again negotiations to sell the Swedish premium brand. Chris Cerrina, co-owner of Parkfield Saab in Rochelle Park, N.J., and a member of the Saab National Dealer Council, said today that he was uncertain about the significance of GM's decision to restart some Saab production. Reuters has reported that GM had extended tomorrow's deadline for bids for Saab, which has drawn interest from Dutch luxury carmaker Spyker Cars and others. Saab's U.S. sales this year plunged to 7,812 vehicles through November -- that's down 61 percent from the same period last year. By comparison, GM's sales fell 32 percent during the period and the industry as a whole saw a 24 percent decline. In November, Saab sold 371 vehicles in the U.S., down 56 percent from the same month last year. Cerrina said his store's sales were down about 50 percent this year to about 10 new-car sales per month. He said a lack of leasing, rather than the mystery surrounding the brand's future, was the main hindrance. But he said his Saab store, which sells about 36 cars annually, is “just hanging on.” It is a small part of his overall operations, Kelly said, but he thinks Saab could be successful under the right ownership. In a text message to Reuters, Spyker CEO Victor Muller said GM had extended tomorrow's deadline for a final offer from Spyker to Jan. 7. Muller said he thought multiple bidders wanted Saab. In the meantime, Saab will restart some production lines in January for its new 9-5 model and cabrio, Saab spokesman Eric Geers said. GM was in talks with potential bidders, but Geers identified only Spyker and declined to talk about other parties. Merbanco Inc., a Wyoming group, has been identified in media reports as another Saab bidder.